Green Bay, Wis. – Low-fare carrier Frontier Airlines announced the addition of Green Bay, Wisconsin as a new city in the Frontier network, with the only non-stop service from Green Bay Austin Straubel International Airport to Denver International Airport. 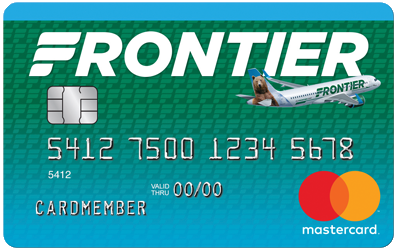 To celebrate the new routes, Frontier is offering a special introductory one-way fare of $49*, which is available now on flyfrontier.com. “This exciting service development is truly a reflection of our region’s strong economy and the support of our community members. Green Bay Austin Straubel International Airport (GRB) is a key piece of infrastructure for our community that contributes significantly to our local economy. And as one of the “front doors” to Green Bay and Northeast Wisconsin, growing GRB’s service is very important. With this new non-stop flight option, leisure travelers will be able to save time and money,” said Troy Streckenbach, County Executive. “We very much look forward to offering the community and the region this new Denver non-stop route with Frontier Airlines. With the convenience of GRB’s location and size, getting to Denver can now easily be a stress-free and affordable trip. This new airline and route is a direct result of the community’s support in choosing to fly local at GRB. We would like to thank the community and invite them to take advantage of flying non-stop to Denver from GRB,” said Marty Piette, A.A.E., Airport Director. Depart DEN: 2:11 p.m. Arrive GRB: 5:29 p.m. Depart GRB: 6:19 p.m. Arrive DEN: 7:52 p.m.
Fares must be purchased by 11:59 p.m. Eastern time on Jan. 23, 2019 for non-stop travel. Fares are valid Tuesdays through June 13, 2019.